Mohinder came to Canada in 1981 from Punjab, India. After working at various jobs including one at Bell Canada, Mohinder saved enough to open her own Bollywood video business in North York. 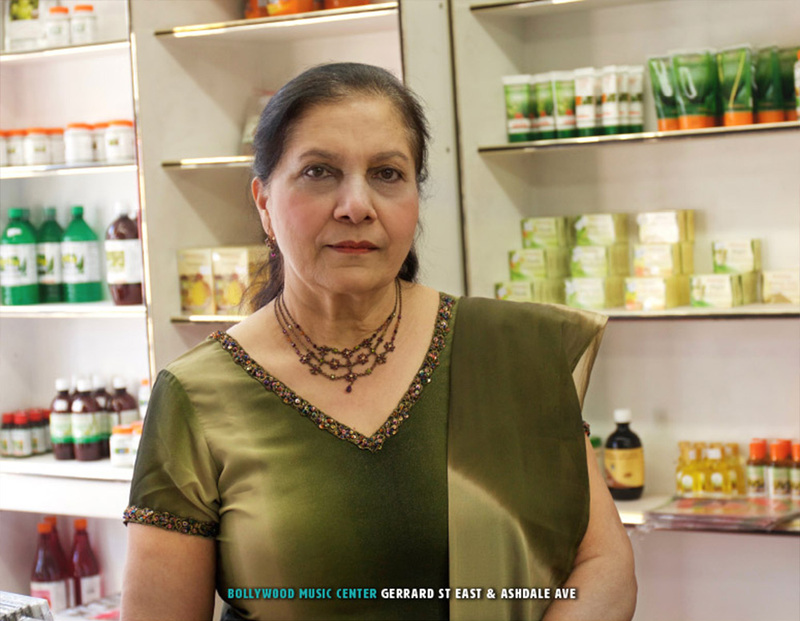 She moved to Gerrard India Bazaar in 1995 where she opened the Bollywood Music Center. Viewers may wonder why this poster image shows Mohinder standing in front of shelves full of Ayurvedic products. That is because she is expanding her business to include Ayurvedic and herbal supplements, featuring an exclusive line of Patanjali Products. Her store is also still stocked with all the latest in Bollywood Music and Films.